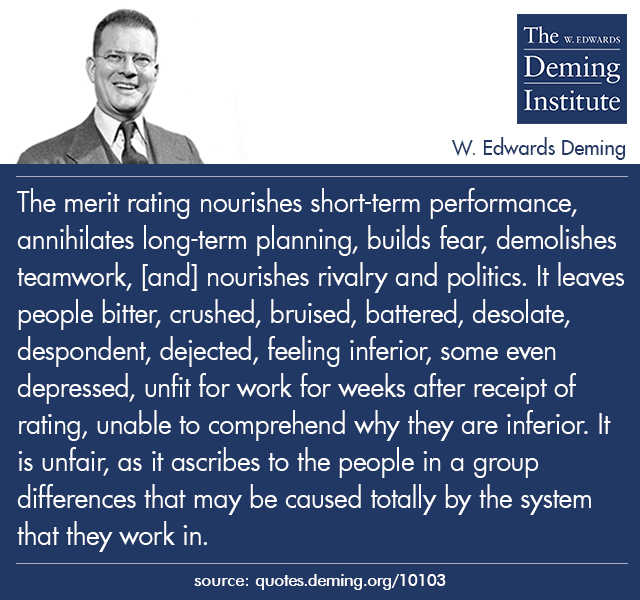 The merit rating nourishes short-term performance, annihilates long-term planning, builds fear, demolishes teamwork, [and] nourishes rivalry and politics. It leaves people bitter, crushed, bruised, battered, desolate, despondent, dejected, feeling inferior, some even depressed, unfit for work for weeks after receipt of rating, unable to comprehend why they are inferior. It is unfair, as it ascribes to the people in a group differences that may be caused totally by the system that they work in. 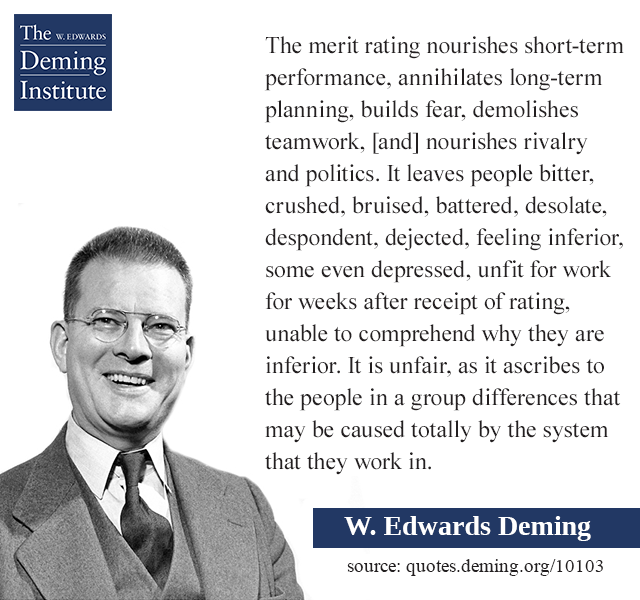 From The Merit System: The Annual Appraisal: Destroyer of People by W. Edwards Deming. 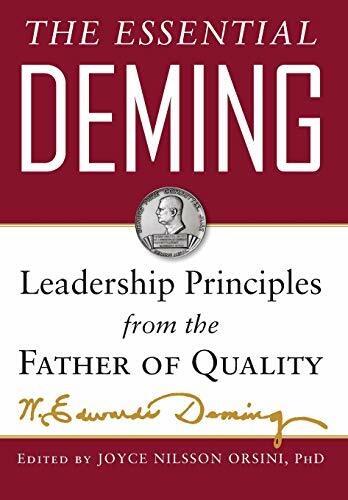 As included in The Essential Deming (page 27).